The minimalist trend of this station focuses on the monochromatic neutrals and plays with the volume and different proportions. 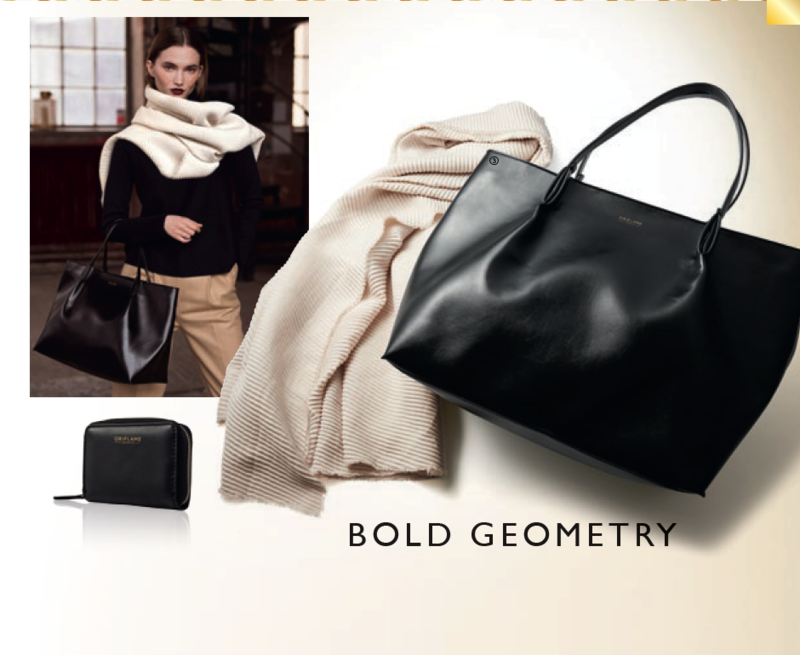 Get to know the irreverent geometry of Oriflame Still accessories. The casual bag is back with a renewed look. Superpractic, the Mala Still, imitation of black skin, is spacious and features a beautiful pink lining. With a classic zip closure to protect your belongings and with the Oriflame logo printed on the front. The Minicarteira is an indispensable accessory in your collection. Imitation leather exterior in black, perfectly matched with Mala Still. Interior with pink lining, with four compartments to keep notes and cards safely. Metal clasp in gold tone. 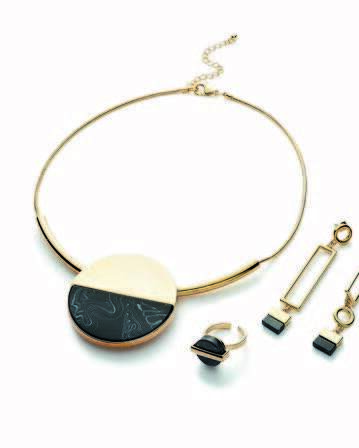 Inspired by vintage Art Deco shapes and a supertrendy medallion, the Still Necklace offers an elegant geometric look. The pendant with two colors, in brilliant gold and imitation marble stone, presents a fabulous balance. Necklace made of gold bar and chain and adjustable clasp. ring The signet ring remains an important piece, however we have raised the bar with original and imitation black marble shapes. A black semi-circle stone, embedded in a gold metal ring and fixed with a horizontal bar.